OUR MEMBERS HAVE EXPERIENCED THE RESULTS AND YOU CAN TOO, STARTING NOW! 30 DAY TRIAL OFFER AND MEMBERSHIP ACCESS BELOW! ELEVATE YOUR GAME TO THE NEXT LEVEL! Every basketball official wants success, and so far you’ve heard that “EXPERIENCE AND TIME” is the only way to get there. 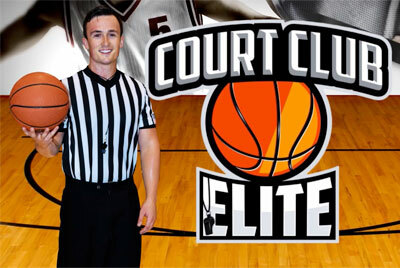 Court Club Elite Co-Founder Ed T. Rush and his staff have created a proven basketball referee success system which enhances your experience, gets you noticed by decision-makers, and most importantly, helps you to see measurable results…FAST! Think about your next goal in basketball officiating. Now ask yourself what it would mean for to you to reach it 4X FASTER then you could now? After 30+ years of working with and training professional, college, high school and even intramural basketball referees, Court Club Elite Co-Founder Ed T. Rush has found that the single biggest equalizer to experience is a process he calls video RETRIEVE and REVIEW. Like any other development exercise, it’s not about quantity but QUALITY…and we have BOTH! Our library of plays produced by one of the most recognizable teachers of the craft of basketball officiating, Ed T. Rush is updated each week and gives you year round training designed to help you improve your skills as an official . . . QUICKLY! Start working well beyond your actual level of experience with our easy-to-follow weekly training and online classroom sessions. Get NOTICED, and get RESULTS! Simply put, this is one of the main reasons our Court Club Elite members continue to advance their careers, reach their goals and see post-season success! Continuing to work games without any direction will leave you frustrated and discouraged. We believe “SUCCESS LEAVES CLUES.” That’s how our monthly guest interviews help you tap into the experience, characteristics and traits of the most successful and meaningful people in the game today. You’ll soon start creating successful habits, make others around you better, and demonstrate the leadership and confidence every coordinator and supervisor needs on his/her staff. Men’s & Women’s Division I, II, III assignors and coordinators from all over the country! Take your game to the NEXT LEVEL with personal 1-on-1 mentoring from this basketball officiating legend who made a career helping others maximize their potential. Ed draws on his experience as the NBA’s Supervisor of Officials, where he trained and developed the best of the best!! Additionally, his work within college basketball, the high school game and NIRSA program gains him perspective on basketball officials at all levels and ability. Ed’s goals are simple…he wants to help you succeed and reach your goals, whatever they may be! With his help and personal mentoring through email, phone, in-person, or video, you will see MEASURABLE results from your first session and soon your growth will be measured from game to game instead of year to year. Develop your skill-set in a TEACHING/DEVELOPMENT environmeant for basketball referees like no other! 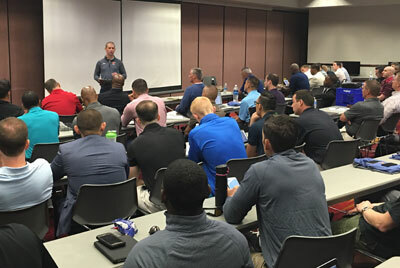 Because of the outstanding RESULTS our summer program produces, Court Club Elite referees have been given the opportunity to develop their game in a pressure-filled environment with some of the most elite players throughout the country. Combining classroom learning sessions in conjunction with video breakdowns of each of your games, yields results…quickly! If you want to reach your potential to become an ELITE BASKETBALL OFFICIAL, you need to be here, and being a Court Club member is the only way to get in the door! Our website will allow you to stay connected with other Court Club Elite members around the world, sharing video plays and having discussions on our online community forum. In addition, our staff is always available to discuss basketball rules and proven game management techniques. You will quickly see why our membership includes officials within NFHS, NCAA, NBA, WNBA, NBA G-League and FIBA. No matter your goals, this is a place where you can make lasting friendships and feel at home. Over time, if you are willing to put in the hard work, you will be recognized as a top-performing official. Court Club Elite Members are known around the WORLD as being some of the most well trained, fundamentally-sound officials; many of whom are currently working at the highest levels of basketball, including the WNBA, NBA and NCAA Division I. When those in positions of prominence in the basketball community watch you work, seeing, as they say, is believing! Start looking around, our members are having success at EVERY level. Ok…by now you’re probably still wondering why we would give away all of these career-changing benefits for Just $1. Simple. We know that once you see how effective our program can be for basketball referees who are serious about becoming the best, you will want to continue. We have a mountain of success stories to prove our instructional program works! It's as simple as that. To activate your membership and claim all of the BENEFITS listed above, you pay a one-time investment of $1. Once your membership is approved, you’ll immediately begin receiving all of the member benefits mentioned above. NOW IS THE TIME TO ACT TO BEGIN YOUR JOURNEY TO REACH NEW HEIGHTS AS A COURT CLUB ELITE BASKETBALL REFEREE!! Yes! Ed, I want to invest in my career in basketball officiating!! 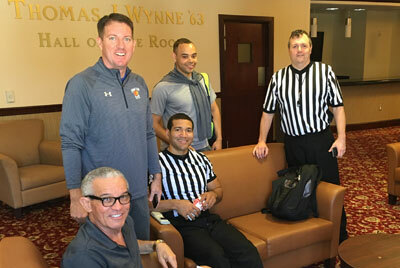 Enroll me in the Court Club for all the basketball referee training and coaching you offer. Since I am acting now, I will have a trial month at just $1.00. I understand that after my 30 day $1.00 trial, I will be automatically receiving my Court Club Membership at the lowest monthly investment of $29.95 per month for a continuous period until I cancel. I also recognize that I can cancel at any time, free of any additional charge simply by contacting a member of the Court Club Elite team.